Sign up for a 14-day free trial with full access to all features. Follow the stories that are engaging people in your country or industry in real-time. 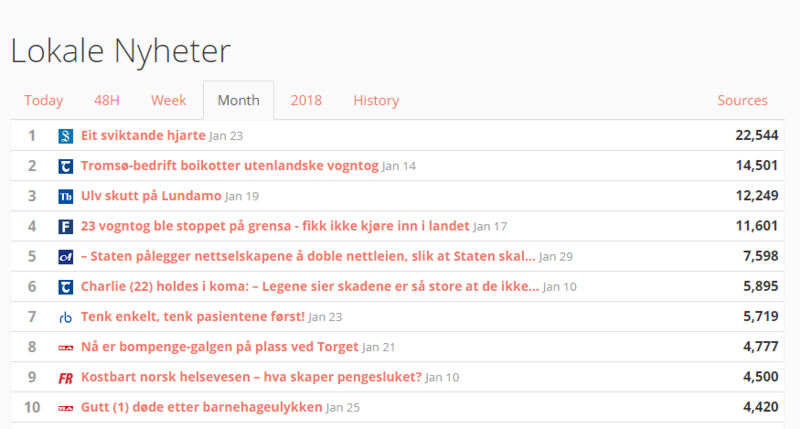 Discover stories to cover based on what is already trending in other countries or in local news. Explore up to 6 years of archive to see how the social media landscape is changing. 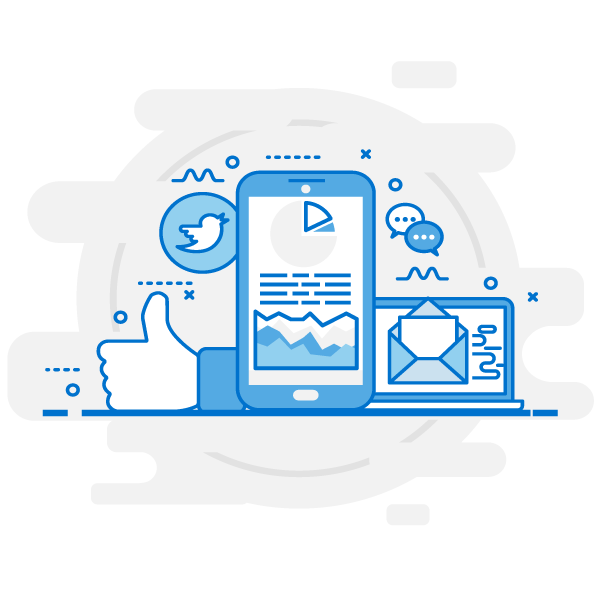 Compare engagement on your site with your competition to see how you are performing in social media. Boost your articles that are starting to take off in social media through advertising. Identify where your social media traffic is coming from. Search the archive to see historical shares for a keyword. Be notified via mobile or desktop push notifications when new stories are trending. 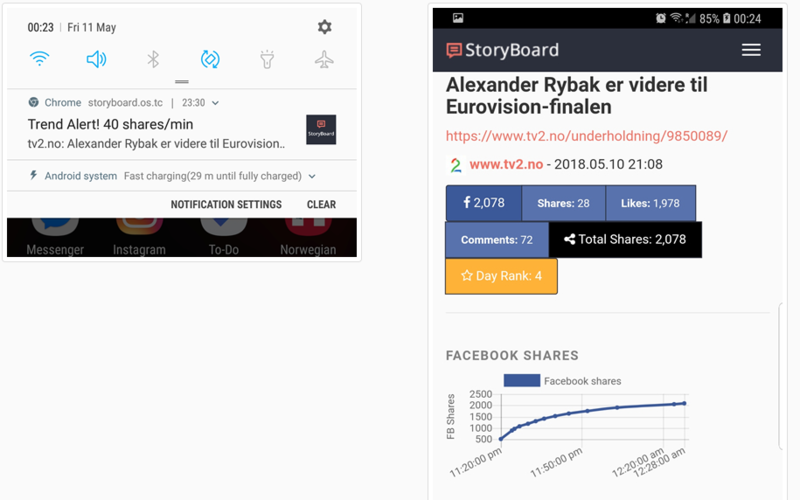 Compare historical shares for similar sites. 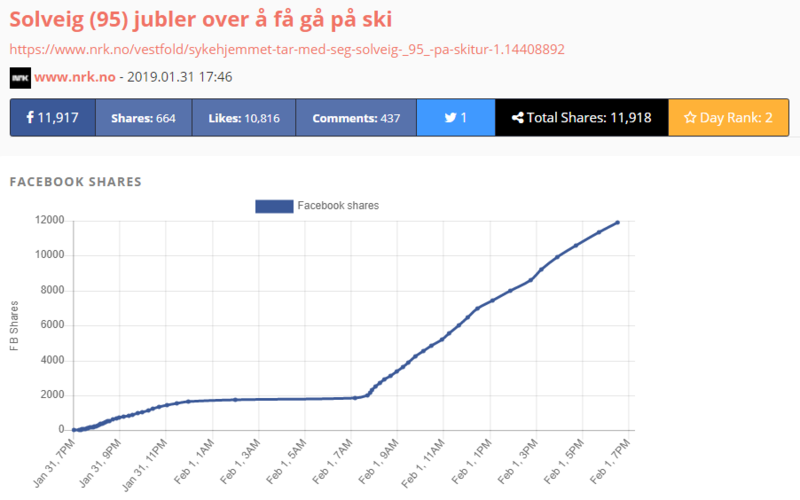 One day of news in Norway as shared in social media, shown in one minute. Get a free walkthrough of Storyboard via video-chat to learn how to get the most out the service. Get in touch with us via phone or email if you have any questions. Export data for use with Excel or Google Docs. Access data from StoryBoard via API for integration with your internal systems. StoryBoard can be set up for additional countries or industries at your request. Add widgets to your sites to promote the most shared stories within your network. We can provide additional analysis if you need to dig deeper. We can provide data for researchers, students and fact-checking organisations. StoryBoard is frequently mentioned in the media. Read more. Get in touch with us for a quote and find out how your organization can benefit from StoryBoard.